Wall Shapes are the most common used symbols in the floor plan. Edraw developers make the greatest efforts in designing easy-to-use wall shapes. From the Walls, Shell and Structure template, drag one of the room shapes onto the drawing page. Drag wall shapes onto the drawing page, positioning them inside the exterior structure. The endpoints turn red when the walls are glued. Intersections between two walls get cleaned up automatically. Changing the wall width is easy. 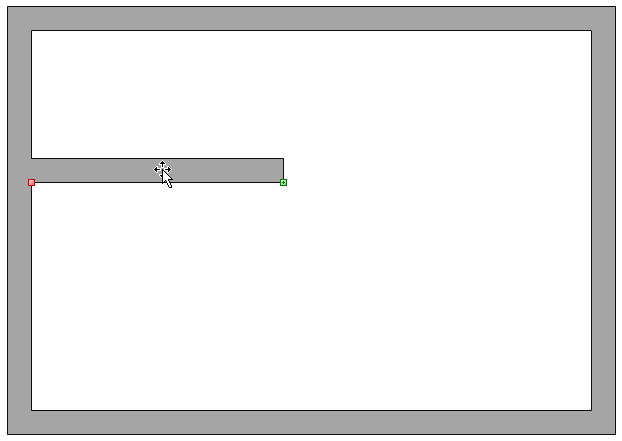 Just click the Set Select Wall Width or Set All Wall Width button in the Floor Plan tab. Edraw is the best and easiest floor plan software that allows business or individuals to design floor plan, office layout and building design. Read ultimate floor plan tutorial to learn more about the tool.